Below you fill find all funeral homes and cemeteries in or near Weimar. Suburbs of Weimar: Borden, Osage. Weimar is also known as: Colorado County / Weimar city. Their current mayor is Mayor Bennie Kosler. Zip codes in the city: 78962. Some of the notable people born here have been: Willis Adams (american football player), and Jeff Kubenka (baseball player). Weimar is a city in Colorado County, Texas, United States. The population was 2,151 at the 2010 census.In 1873 the town was founded as "Jackson", but subsequently was called "Weimar" in tribute to the German city of Weimar.Located on Interstate 10 and US 90 between San Antonio, Austin, and Houston, Weimar is a small community of predominantly Czech and German descendants.Weimar is famous for Kasper's sausage, which draws a crowd every Saturday to Kasper's Meat Market in downtown Weimar.A strong history of baseball exists in Weimar. Veterans Park (Strickland Field) was ahead of its time when it was built in 1948, and was the first lighted baseball field between San Antonio and Houston. Veterans Park remains a state-of-the-art baseball stadium, having hosted a Babe Ruth League World Series Tournament in 2005.Weimar is where Norman J. Sirnic and Karen Sirnic were murdered by serial killer Angel Maturino Resendiz on May 2, 1999. Their parsonage was adjacent to the train tracks. It was reported by Austin American Statesman on May 11th, 2013 that Joyce Faye McMillian passed on in Weimar, Texas. McMillian was 71 years old. Send flowers to share your condolences and honor Joyce Faye's life. It was noted by Austin American Statesman on June 17th, 2012 that Lisa Renee Miss Luchak passed away in Weimar, Texas. Luchak was 33 years old. Send flowers to express your sorrow and honor Lisa Renee Miss's life. It was revealed by Austin American Statesman on March 31st, 2012 that Molly Gray (Moffet) passed on in Weimar, Texas. Ms. Gray was 80 years old. Send flowers to share your condolences and honor Molly's life. It was reported by Hagerstown Morning on January 15th, 2012 that Norvelle Beatty (Harrison) passed on in Frederick, Maryland. Ms. Beatty was 98 years old and was born in Weimar, TX. Send flowers to express your sympathy and honor Norvelle's life. It was reported on November 9th, 2011 that Antoinette Fuller (Dearing) passed away in Weimar, Texas. Ms. Fuller was 84 years old. Send flowers to share your condolences and honor Antoinette's life.
. Weimar is a city in Colorado County, Texas County, Texas, United States. The former GH&SA railroad remains in service today as part of the Southern Pacific Railroad system. After beginning with a few hundred townspeople, Weimar had by its tenth birthday achieved a population of over 1,000. In 1888 Weimar witnessed the origin of the first town newspaper, The Weimar Mercury, which currently remains in publication. The official website for the city of Weimar is http://weimartexas.org. Funerals in Weimar, TX on Yahoo! Local Get Ratings & Reviews on Funerals with Photos, Maps, Driving Directions and more. Hubbard Funeral Home Inc Weimar reviews by real people. Yelp is a fun and easy way to find, recommend and talk about what's great and not so great in Weimar and beyond. 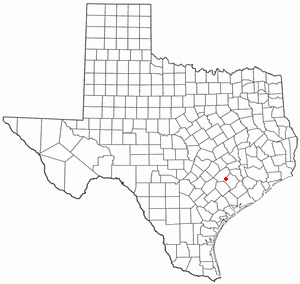 Weimar, Texas is located on Interstate 10 and US 90 between San Antonio, Austin and Houston. We work with local florists and flower shops to offer same day delivery. You will find budget sympathy flowers in Weimar here. Our funeral flowers are cheap in price but not in value.